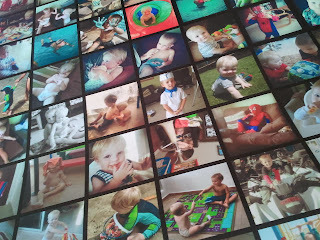 Although I'm not the best photographer in the world one of my greatest loves is my rather large collection of photos. Since going digital several years ago now I've gradually been taking more and more, and since getting a decent phone last year and joining instagram I've been even worse! The problem with digital though is printing them out, it's so easy to leave them hiding on your phone or laptop unlike the old days of trudging down the high street to pick up your little envelope. 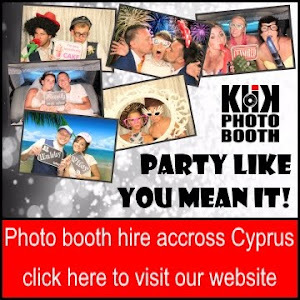 Here in Cyprus it's even worse as many of the online photo printing sites do not deliver here, or they charge extortionate fees for doing so. So I was really excited to discover Instajunction, a great website which enables you to get your long forgotten instagram photos printed on a range of fantastic products. Another beach path walk, it's a great time of year for it. Leo's first visit to Santa where I haven't had to sit with him, He loved talking to him and getting his present but looked all sad when we came out, I asked him why and he said but Santa didn't give me what I'd asked for? So cute! He was quite relived when I explained that he doesn't bring the proper presents until Christmas. Christmas lights switch on in Agia Napa, I love that the festive season starts now - not October or early November, no huge over commercialized run up here! My little business goes live! Santa's Cyprus Postbox is up and running this week. Leo makes cakes as 'Child of the week' for all his class at school. He also takes in some toys, a book and a DVD to share with them for the week, and some photos to tell them about. A spot of bear wrestling! A proper night out on Thursday with the girls, and a surprise cake for our friend's birthday. I wore proper heels for the first time in about 4 years, drank far to much, and generally had a very good time! Leo's first Pantomime, he was a bit restless during it but at the end he said he loved every minute! I am a huge fan of Christmas, I always have been but since having kids I love it even more. I've always said that Christmas is a 'Season' not just one day - well it says so in the song 'Tis the Season to be jolly'! and most of the enjoyment for me comes from the run up to the actual day. 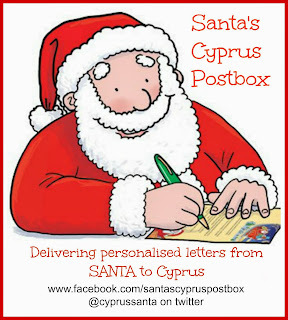 With the launch of 'Santa's Cyprus Postbox' any child in Cyprus can receive their very own letter from the man himself. Personalised with information provided when ordering, Santa tells the recipient he is busy preparing for Christmas Eve and lets them know how proud he is of their achievements this year. No piles of autumn leaves to play with but these crunchy petals were just as fun! Leo brought this home from school, they could choose what to paint so this is Leo and I in the park with flowers and butterflies. Trying to grab my phone as usual! I was surprised to see Leo come out of school carrying this rather large Barney on Friday! It turns out he was chosen as 'Child of the Week' and has to take Barney home for the weekend, on Monday he he takes him back and tells the class what they did together at the weekend. Our first proper day out as a family of four, we went to the Camel park, Leo and Louka had a great time, although Leo didn't like the camels much! It's been a very long time since the four of us went out for a walk together but last week Aaron and I took the boys down to the beach path for a long awaited family stroll. Starting at the 'Fig Tree Bay' end of the path in Protaras meant we only had a short distance before arriving at the small play area. I'd only realised it was there at the end of last year after seeing a friends photos on facebook and asking her where it was as we'd never walked that far along before but we now often start at that end instead. For the first time Louka loudly demanded to get out of the buggy as soon as we arrived and Leo ran ahead to play, he's so much more advanced in walking and climbing than Leo was at the same age which is good but often ends in tears as he thinks he can follow his brother everywhere. It's certainly the younger me - taken after my 30th birthday party when 2 of my friends who were sleeping the night at our house and we decided to carry on the party when we got home. 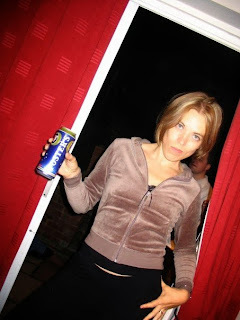 The younger me, who went out drinking and didn't worry how bad her head would be in the morning or how many times she would have to get up in the night. Who had just lost 4 stone and was looking and feeling better than ever before. Who sat staring at her birthday cards unable to believe she had just turned 30 and felt old. Who still used to celebrate her birthdays in style. Who had a few best friends that she could never imagine being out of close contact with. Who could never have imagined what the next few years were going to be like. 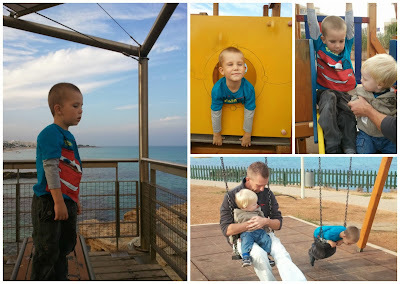 I started this post way back in March when Louka was just 7 months old, I'd started to say how he was yet to sleep through the night, how he woke up every couple of hours and how I wondered when he might start to sleep better. Since then I've written this post so many times in my head in the middle of the night, but never got round to actually writing it, I thought surely by the time I get round to it he will have improved! Leo was not a good sleeper, although as a small baby he was fine, predictable - bed at 7pm, bottle at 11pm and 3am and up between 5am and on a very good day near to 7am. He dropped his 3am bottle sometime before 6 months and we continued with the 11pm for a while longer. After 6 months (when we moved to Cyprus) he got worse waking 2 or 3 times a night but usually settling quite easily maybe with a little drink of water or a quick cuddle. All pooped out after two nights of Halloween celebrations! An afternoon walk along the beach path, I can never resist a pretty sky photo! Louka, trying to get in the cupboards AGAIN! I want to do it myself Mum! As Aaron was working so much and we pretty much missed his birthday, I arranged a surprise party in the local pub. He had no idea it was going to happen! Sunday morning walk in the park - we never find piles of autumn leaves here but the boys enjoyed playing with the dried out fallen petals instead! A fortnight in the sun? 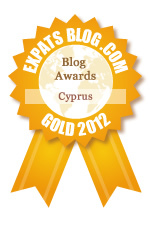 Before I moved to Cyprus, and before I had children the holidays I enjoyed were very predictable. I used to like going to different countries although in reality I may as well have picked one as in each place I rarely ventured further than the pool or the bar! In theory I liked the idea of exploring new places, and getting out and about discovering what the country had to offer but the lure of relaxing in the sun and getting a bit of a tan was just too much. It's odd then that I didn't ever fancy finding good Cruise deals, feeling like I'd be 'stuck' on a boat when in fact that probably would have given me the best of both worlds. 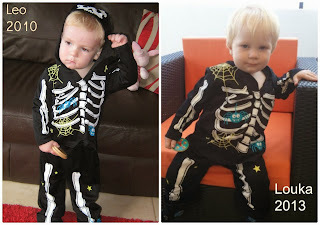 So many people say that Louka is a mini Leo and while I didn't dispute the fact they looked very similar I didn't think they were that close in looks at the same age. Maybe it's because I know my photos so well and I can tell straight away who it is by the background, or maybe it's like having twins - you just know which is which. After thinking we would probably only have one child, it's strange doing it all again, the same yet different. 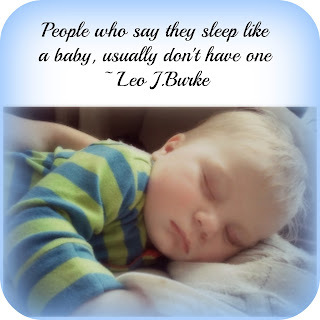 There were many things that I'd thought Id do differently with hindsight when I used to look back on Leo's early years but 'they' are right no two children are exactly the same and therefore there is still something new all the time! As Leo is learning the Greek alphabet at school I'm always up for a chance to try and keep him up to date with his English too so when Junior Scholars contacted me with regards to reviewing one of their products I jumped at the chance. The board is a dry wipe A4 size, with lines arranged in groups of three, the idea being to help the children to form the letters in the right proportions. 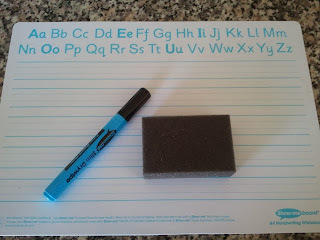 Leo has some dry wipe books already and can quite happily draw over the dotted letters but usually needs to copy when writing them alone so I though this would be a great way to help him, especially as he struggles to keep his letters the same size! Considering that they only teach the Greek alphabet at school I was very pleased with how he got on, although when he got to the letter 'L' he refused to copy the English and reverted to doing it in Greek! Trick or treating is not something that I imagine would go down well here in Cyprus but I arranged with a few of our neighbours that we would knock during our Halloween party. I looked for some party bags or something that I could give the children to collect their treats in but couldn't find any, so went straight to Pinterest for inspiration. 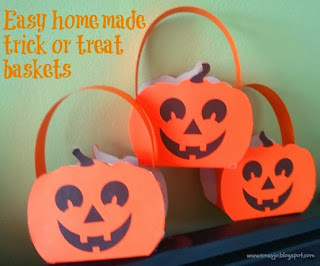 The Craft Train came up trumps with these printable pumpkin baskets. Very easy to make, even for me! I printed the template onto orange paper and then stuck it to old cereal packets to make it a bit more robust. Then it was just a case of cutting, folding and sticking as shown and adding a handle! Witches hats, which was fun to do with Leo even though it made one hell of a mess! Nice and easy - all you need is melted chocolate, ice cream cones and digestive biscuits, plus some sweets to decorate.